I�m very excited that our 7-piece Dixieland band �Platform Jazz� will be performing at the Rhumbelow theatre in Umbilo this coming weekend (last weekend of January) and the first weekend of February. The 7 piece Dixieland band, 'Platform Jazz', plays authentic 1920's toe-tapping jazz. 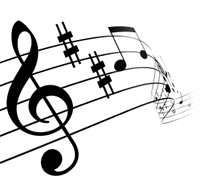 Included in their repertoire are such famous numbers such as the Fats Waller favorites 'I'm going sit right down and write myself a letter', 'Honeysuckle Rose' and traditional favorites including 'Sweet Georgia Brown', 'Chicago' and 'When the saints go marching in'. The line up includes trumpet, clarinet, sax, trombone, double bass, drums and piano/ Keyboard. They also play jazz standards and a few latin no.s including Volare, Quando quando, Girl from Ipenama and Sway. They have been going for 17 years, and have played for many functions including weddings, parties, opening of Hotel Isulu in Ballito, various functions and corporates at the ICC, concerts at the Playhouse, restaurant functions including BBB, Art Scene, NSA gallery, Beverly Hills Hotel , the jazz center at UND, and several events at Suncoast and Wild Coast casinos. They play regularly in Pietermaritzburg for Music Revival concerts and have performed at the Hilton College theatre and at a couple of previous Hilton Festivals. Band members are Cathy 'Hotlips' Peacock on trumpet, Ian 'lightning fingers' Holloway on clarinet, Duncan Wooldridge on trombone, Jeff Judge on sax and vocals, Calli Thomson on keyboard, Andreas 'Bull fiddle' Kappen on double bass, Bashful Bruce Baker on drums and Jaziel Vaugh'hann - vocals..
Once again Calli and Barry Thomson are thrilled be taking part in the DURBAN INTERNATIONAL BLUES FESTIVAL at Wilson�s Wharf from Tuesday 27th September to Sunday 2nd October. 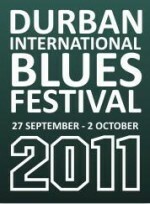 I�m very excited to have been asked for the fourth consecutive year to put bands together to back the international artists invited to the festival J Barry and I are both in the band backing US blues lady Liz Mandeville at Zack�s on Friday 30th Sept at 9.30PM (drums Bruce Baker & bass Jason Andrew. Some of Durban�s finest musos, namely Barry Thomson, Andy Turrell, Marion Loudon and Calli Thomson collaborate once again to produce two hours of pure, honest �unplugged� sounds. Girls Wanna Rock is the ultimate in rock and roll sexiness. The show features a scorching hot, all-girl cast who will ignite the stage, shatter guitars and get you rocking in no time. The Sixties Summer of Love took place during the summer of 1967. It started with the release of The Beatles album Sgt. Peppers Lonely Hearts Club Band on June the 1st 1967 and closed with the Woodstock Music Festival in the summer of 1969. Nite Fever is a 70�s celebration, a decade that we will musically never forget. Some of the greatest music of our time comes from the Seventies featuring everything from Bee Gees, John Paul Young, The Village People, Rod Stewart, Boney M, Saturday Night Fever, The Grease & Rocky Horror soundtracks and many more. THE Barnyard Theatre at Gateway is taking audiences on a trip down �memory lane with its latest show LM Radio until August 30. It�s definitely a case of �long live The King� at The Barnyard Theatre at Gateway with Elvis Forever, a tribute to the king of rock �n roll, Elvis Presley. �Viva Las Vegas� is a brand-new Barnyard Theatre Production show-casing musical highlight from Las Vegas, the entertainment capital of the world. Las Vegas has staged some of the greatest live performances in the history of entertainment and this show features a wide range of hit songs performed there over the last 50 years. Music from the Movies Hollywood Rocks produced by The Barnyard Theatre Productions and directed by award winning director Ian von Memerty is the hottest new ticket on the Barnyard Theatre Circuit. Danny Fisher has established himself as one of South Africa�s most talented entertainers, and this time has collaborated with his two beautiful and talented daughters Joanne and Danielle, who together with a dynamic band showcase some of Durban�s finest musical talent. Next up at The Barnyard Theatre at Gateway is Natural Woman which takes a seductive and powerful look at the history of women in modern music seen from a feminine perspective. Treading the boards here until mid January is the venue�s festive season frolic entitled Celtic Rock. A musical tribute to the Emerald Isle, the show combines elements of folk and pop and a good dose of pub songs washed down with an abundance of rock. 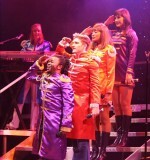 The Barnyard Theatre�s newest production, Forever Young, will rock the Gateway venue from February 10 to March 28. This one is dedicated to those musicians and singers who remain etched in memory because of the mark they made on both the musical world and society.